The Missionary Congregation of the Daughters of St.Thomas (DST) is the first Missionary Congregation for women in the Syro-Malabar Church. DST is dedicated to promote the missionary activities of the Church taking inspiration from the compassionate love of Jesus. DST takes up missionary apostolate among peoples and groups giving preference of those areas where the merciful glimpse of Jesus has not yet reached explicitly. 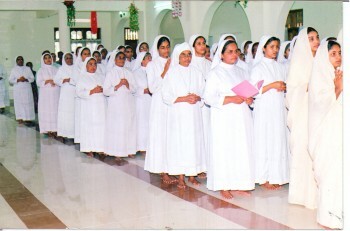 The members are engaged in collective apostolate such as pastoral care, catechetics, formal and non-formal education, hospitals and dispensaries, family apostolate, social work, training and rehabilitation of the mentally challenged, physically handicapped, caring of the aged, prison ministry, social empowerment of the weak and the women, tribals and marginalized and the like which directly or indirectly involve all walks of life. Man in his totality is ambitious and on the march forward is attaining success, honor, glory….At the same time he is disappointed too, restless and at times wavering. He is not fully able to enjoy the freedom of the children of God. Yes, each human being is to be grown fully to the status of the children of God whatever be the socio cultural racial spiritual background. Each one is to achieve the fruits of the salvific act of Jesus Christ. DST is trying to achieve this goal by showing the sign boards of the love of God and trying to establish peace, justice and serenity amongst the human race thus bringing out equality in all walks of life to raise the downtrodden. 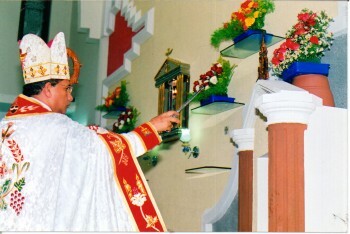 The founder of DST is the charismatic and zealous priest Very Reverend Father Jacob Thazhathel. Having been founded at Aruvithura, Kerala, South India on July 03, 1969 our Congregation has 322 professed sisters, witnessing the Gospel in different countries. DST has 82 candidates under 5 stages of formation in 8 centers in the states of Kerala,Madhya Pradesh and Meghalaya of India. DST has got two provinces namely Santhome Province Pala and St.Thomas Province Ujjain. 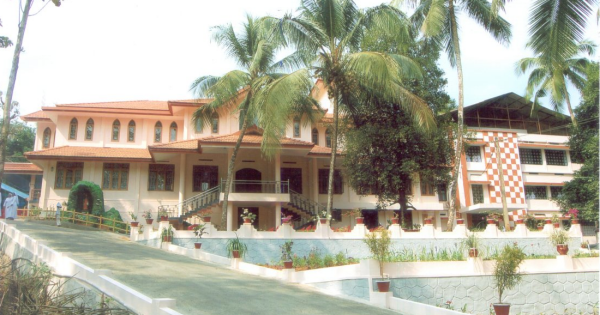 Santhome Province Pala is spread over the Dioceses of Pala, Kanjirapally, Idukki, Kalyan, Satna, Thamarassery, Palakkad, Tura and Gauhati having the Provincial House at Chethimattam, Pala. 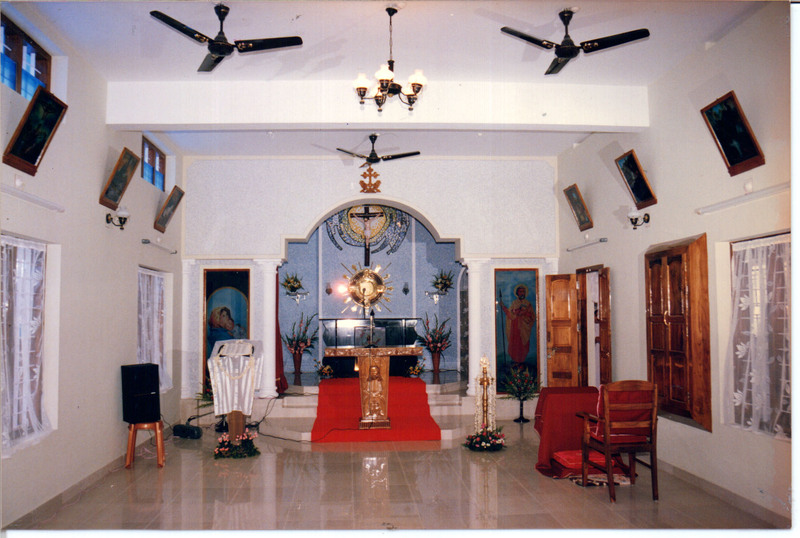 St.Thomas Province Ujjain is spread over the Dioceses of Ujjain, Bijnor, Chanda, Ernakulam, Kothamangalam, Thamarassery, Adilabad, Thalassery, and Sagar having the Provincial House at Khilchipur, Ujjain. 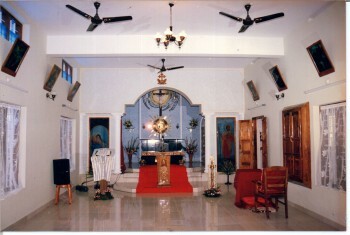 Generalate is at Bharananganam, Kerala, India. 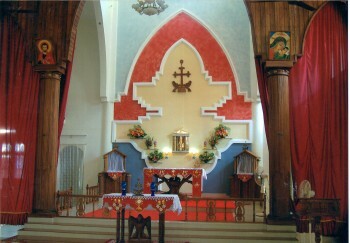 Copyright ©2009 Missionary Congregation of The Daughters of St Thomas, All rights reserved.